Romance flies the friendly skies in this diverse collection of short stories from a talented group of best-selling and up-and-coming authors. There’s something for everyone in this mile-high compilation – from a love story born in a blizzard to a steamy encounter spawned by a series of crazy events. For supernatural fiction fans, how about the tale of an airport that’s also a portal to another world… or a scheduled flight that takes a detour into an alternate reality? From an unexpected trip that reignites a twenty year old flame, to a quirky liaison between a ticketing agent and an adorable doctor, Frequent Flyers takes you on a journey that will touch your heart and leave you flying high! 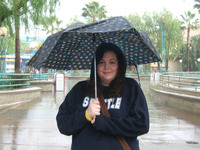 Beth Bolden lives in Portland,Oregon with one cat and one fiance. She wholly believes in Keeping Portland Weird, but wishes she didn’t have to make the yearly pilgrimage up to Seattle to watch her Boston Red Sox play baseball. After graduating from university with a degree in English, Beth unsurprisingly had no idea what to do with her life, and spent the next few years working for a medical equipment supplier, a technology company, and an accounting firm. Now Beth runs her own business as a Girl Friday for small business owners, assisting them with administration, bookkeeping and their general sanity. Beth has been writing practically since she learned the alphabet. Unfortunately, her first foray into novel writing, titled Big Bear with Sparkly Earrings, wasn’t a bestseller, but hope springs eternal. Her first novel, The Lucky Charm, was published in May 2014 and its sequel, Getting Lucky will be available December 1, 2014. T.M. Franklin started out her career writing nonfiction in a television newsroom. Graduating with a B.A. in Communications specializing in broadcast journalism and production, she worked for nine years as a major market television news producer, and garnered two regional Emmy Awards, before she resigned to be a full-time mom and part-time freelance writer. Her first published novel, MORE, was born out of a challenge to write a novel in thirty days issued during National Novel Writing month. MORE was well received, selected as a finalist in the 2013 Kindle Book Review Best Indie Book Awards, and won the Suspense/Thriller division of the Blogger Book Fair Reader’s Choice Awards. In addition to MORE and its sequels, The Guardians and TWELVE, Franklin has penned the Amazon best-selling short stories, Window and A Piece of Cake. Her Amazon best-selling YA romance, How to Get Ainsley Bishop to Fall in Love with You, is Franklin’s first love story without traditionally recognized paranormal or fantasy elements. Although . . . T. M. is the first to argue that love is the best kind of magic.